Internationally-acclaimed Greek baritone Aris Argiris is one of the leading singers in front of the opera and concert public today. He has worked with conductors such as: Zubin Mehta, Kurt Masur, Christian Thielemann, Yakov Kreizberg, Gustav Kuhn, Donato Renzetti, Manfred Honeck, Walter Attanasi, Graeme Jenkins, Carlo Franci, Antonello Allemandi, Patrick Lange and Carlo Rizzi. After fix engagements at Musiktheater im Revier in Gelsenkirchen, at Theater Dortmund and at Oper Bonn, he was member of Oper Frankfurt. Since then he wa invited to international places like Arena di Verona, St. Petersburg, Opera di Montreal, Gärtnerplatztheater München, Athens Festival in Herodes Atticus, Gluck International Festival, Musiktheater im Revier, Semperoper Dresden, Vlaamse Opera, Les Theatres de la Villes de Luxembourg, Theatre de la Monnaie, Theater Freiburg, Theater an der Wien, Theater Chemnitz, Scottish Opera, Theater St. Gallen, Theater Bern , Israel Philharmonic Orchestra under the baton of M° Zubin Mehta, Staatsoper Hamburg, Teatro San Carlo di Napoli, Essen Aalto Musiktheater, Theater Bonn, San Diego Opera, NNT Tokyo, Staatsoper Berlin and Savonlinna Opera Festival. 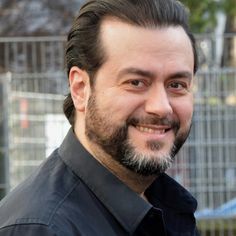 His repertoire includes Wotan in Die Walküre, Scarpia (Tosca), Rigoletto (G. Verdi), Amonasro (G. Verdi), Don Giovanni, Renato (Un ballo in maschera), Jochanaan (Salome), Figaro (Il Barbiere di Siviglia), Escamillo (Carmen), G. Germont (La Traviata), Marcello (La Bohéme), Rodrigo di Posa (Don Carlo), Conte d’Almaviva (Le nozze di Figaro), Lord Enrico Asthon (Lucia di Lammermoor), Frank/Fritz (Die tote Stadt), Valentin (Faust), Francesco (I Masnadieri), The Four Villains (Les Contes d'Hoffman). Born in Athens he studied with Kostas Paskalis, Frangiskos Voutsinos and Despina Calafati in his home town. In 1999 he received the Maria-Callas-Scholarship in Athens and continued his vocal studies in the masterclasses of Prof. Daphne Evangelatos at the Hochschule für Musik und Theater in Munich. In 2002 Mr. Agiris won the International singing competition at Kammeroper Schloss Rheinsberg, where he sang the title role in Mozart’s Don Giovanni. Aris Argiris recorded Ariadne – Dithyrambos for baritone and orchestra by Siegfried Matthus and Holoferne’s aria from Matthus´ Judith with the label Genuin and can be seen singing Escamillo in the first 3D opera-movie, which is based on the Royal Opera House Carmen production of 2010, directed by Francesca Zambello and conducted by Constantinos Carydis.